These are exciting opportunities -- applications are due soon! Please let me know if you need any help. The U.S. Youth Ambassadors Program with South America offers two separate three-week leadership exchanges abroad for U.S. teenagers ages 15-17 and adult mentors: one to Brazil and one to Argentina & Chile. Sponsored by the U.S. Department of State, the programs aim to promote mutual understanding, respect, and collaboration between the United States and South America. WorldChicago is currently recruiting Chicago area students to apply for this unique, prestigious exchange. Apply by January 13, 2017 at http://wlyap.tumblr.com/apply. Join girls from around the world for a unique educational opportunity and rich cross-cultural experience at the 2017 WiSci Girls STEAM Camp held in Malawi from July 30 - August 15, 2017. STEAM stands for Science, Technology, Engineering, Arts & Design, and Mathematics. The camp will include a STEAM curriculum led by experts in their fields, as well as leadership development activities and learning excursions within Malawi. Visit girlup.org to learn more about this exciting program! Apply by February 13, 2017at https://girlup.org/wisci/apply/. World Learning's Digital Young Leaders Exchange Program (DYLEP) is an online exchange program for high school students in Iraq and the United States. 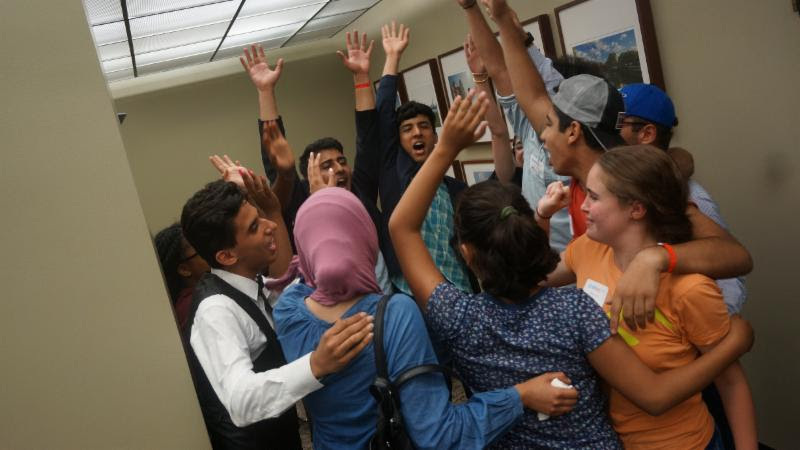 Through DYLEP, students develop their leadership skills, learn how to work together with people of diverse backgrounds, and design concrete projects to address issues in their communities. Selected students will participate in DYLEP completely free of charge, and learn using videos, discussion forums, online chats, webinars, and games. Students will also meet online in small groups to exchange opinions and perceptions towards global issues with other participants in Iraq and the U.S. Since DYLEP is an online program, it does not involve any travel. Students can participate from anywhere and structure the work around their own schedules. For questions about the programs or applications, please contact Brian Peckrill atbpeckrill@worldchicago.org or 312.254.1800 x100.